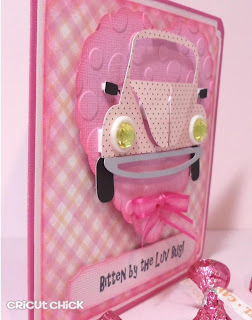 Simply Silhouette: Cardz TV Challenge #5 "Tickled Pink"
Cardz TV Challenge #5 "Tickled Pink"
my Silhouette Cameo Design Studio at 4.5". "Bitten by the Luv Bug"
Friday, February 3rd thru Sunday, February 5th. 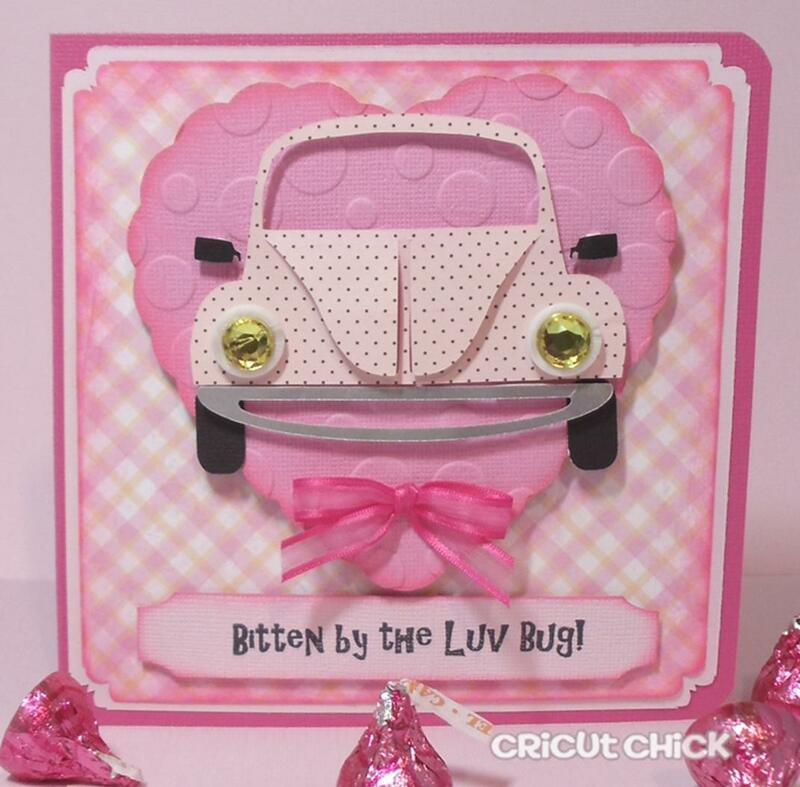 and check out their "Tickled Pink"
darling card, love the head lights! I really enjoyed meeting you at CHA! 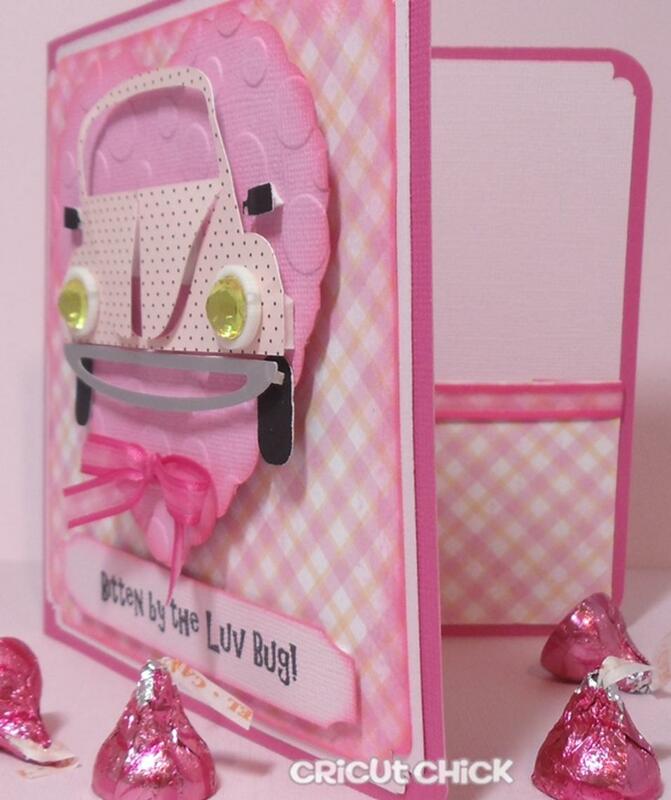 Love, love, love your card ... so cute! This is the best ever....I am really jealous. Will you cut me out one - dark blue for my little bug? I just love this card, It is just the cutest little bug I've seen. 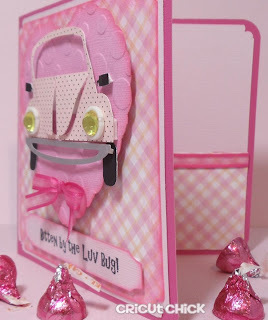 This card is super fun.Love the pink everywhere and the kisses you put in the photo. 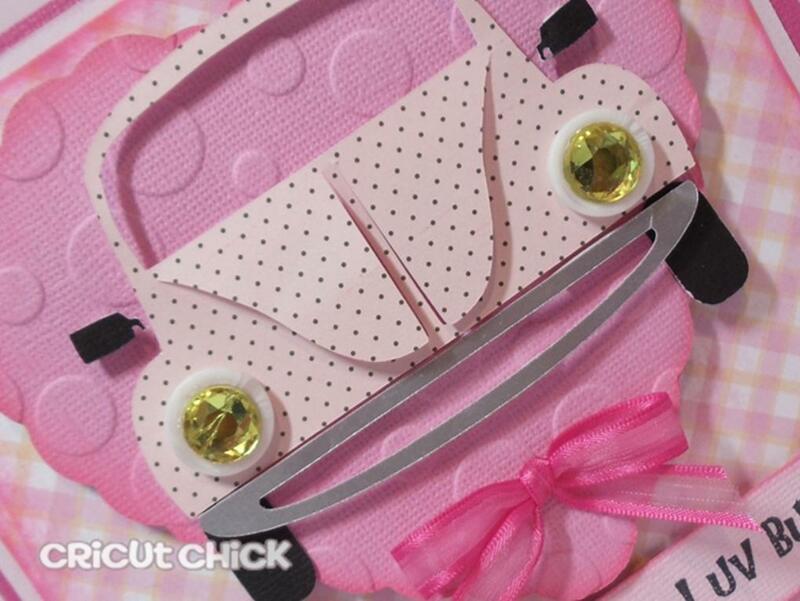 THat is the cutest car ever! I love this card! everything about it is fabulous! This is super cute Julie!! This is ADORABLE!! Great idea! "Slug Bug" loaded with cuteness! Love this card!